Although we still haven’t had any significant runoff to fill ponds and lakes in my neck of the woods, we did have welcome weekly rain with each passing front last month. We can certainly be thankful for surface moisture and the lifting of the burn ban. I managed to get my summer brush piles burned early one morning while the dew was heavy and the wind light. We still have to be careful however. One day a camp fire got loose and burned the dry, cracked bottom of the upper end of nearby Lake Pinkston, the main water supply for the city of Center. Let’s hope we get some drenching winter and spring rains or towns with only surface water will be in all kinds of trouble next summer. I started the month by attending our SFA Gardens soap making seminar and Fandango in our beautiful Ruby Mize Azalea Garden later that afternoon. I’m excited about making homemade soap now. Although I’m a bit spoiled and lazy as I normally trade fresh yard eggs for homemade soap from “Mrs. Clean Jeans”, Elyce Rodewald. Elyce is our education coordinator at SFA Gardens and taught the soap making class. She’s a workaholic and a good friend. Next I spoke to the River Oaks Garden Club in Houston on “Heirloom Gardening”. One couldn’t ask for a nicer group of ladies. An added benefit was getting to see my former student and Bayou Bend horticulturist, Bart Brechter. He squired me around a bit and gave me a quick tour of the beautiful grounds at Bayou Bend. Luckily when I got back home Mr. Deptula had tuned my great-great grandmother’s old upright piano for me. I usually try to bang out a few tunes each day. It’s the same old piano I used to play on at my great grandmother Wallace’s house. It’s an old friend that I can’t live without. The next weekend I attended the Historic Nacogdoches, Inc. annual pig roast. Friend and fellow garden writer, Jeff Abt, did a fabulous job roasting a whole pig. It was divine. Being raised by a cattle rancher, I’m partial to other meats, especially pork. I’m actually a pretty good vegetarian about six days a week. Cold weather came to visit my garden in November like it always does, ending up with several nighttime lows of 24 degrees during the final week. This of course finished off my warm season tropicals, annuals, and perennials. I dug my cannas and will replace them with my bluebonnet bottles trees any day now. 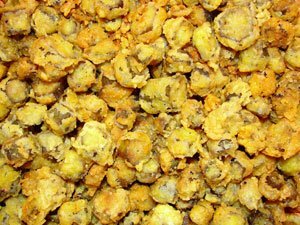 Each spring when the bluebonnets “finish blooming” I take them up and replant my old French hybrid “iris flowered” cannas. I’ve cut all my Turk’s caps and rose mallow hibiscus to the ground and pulled up all my bachelor’s buttons, after saving seed of course. We had our first mess of turnip greens and mustard greens from my garden along with the standard side of buttermilk cornbread. Hopefully I’ll pick broccoli and cabbage before serious hard freezes come in late December and early January. I have three large pots of spinach and have been enjoying salads of fresh baby spinach leaves. I’m not a big onion eater but my dad is munching away on my row of multiplying winter onions. My mom even baked one of top of her turkey and rice casserole the other day which was quite pretty (and tasty). With the help of friend, pharmacist, and fellow gardener, Bill Jobe, I started cutting and stripping my sugar cane the week before Thanksgiving. Sugar cane is a tropical grass that can’t take much cold, so it’s important to get it harvested before a hard freeze damages and ruins it. I normally wait until Thanksgiving week to harvest it but since I added a few rows and didn’t want to endanger my nephew’s lives again with their wielding of giant cane knives, I got all of it cut and on the ground before my usual familial help arrived the week of Thanksgiving. There is no more labor intensive crop that growing sugar cane for syrup making and every year I think about giving it up but can’t. Many thanks to my tolerant family for helping me out once again! 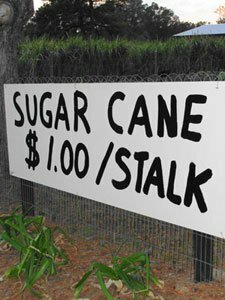 My people have always grown sugar cane for making ribbon cane syrup and it’s a sweet tradition that’s stuck to me I’m afraid. This year I sold more stalks than ever to folks passing by that wanted to either chew it or grow it. I grow about five different kinds and would sit and chew my favorite each day while taking frequent breaks. I was apparently born a sugar baby. 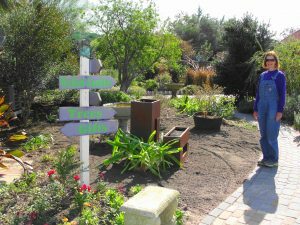 Our SFA Gardens Les and Theresa Reeves Lecture Series speaker in November was Keith Johansson from Metro Maples in Fort Worth. 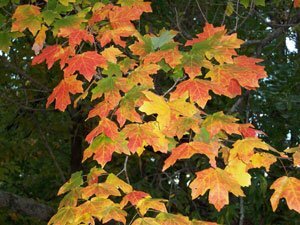 I’m a huge fan of maples, especially our native red maple, Southern sugar maple, and personal favorite, chalk maple. I’ve been planning this for years, but next year Bill Jobe and I plan to tap native Southern sugar maples here in Arcadia and try our hand at making maple syrup. Turns out that one reason I wasn’t a fan of pancakes as a kid was that gosh awful fake syrup that got served with it. Growing sugar cain sounds interesting. how do I go about getting started?